A safe and challenging work out. Exercise in water provides a near weightless and zero impact environment. Programs range from warm water joint, range of motion classes to high intensity aerobic classes. Classes are 45 - 60 minutes long and area led by qualified instructors. All classes below are free to members. NEW CLASS! “Total Water” Workout: Get the benefits in all depths of the pool. Warm up, strength training and more in the shallow water, then move to the deep end where you will get a much bigger range of motion, extensive core work and high intensity aerobics that incorporate your entire body. Move back to the shallow water to further work arms and legs for toning, strength, and flexibility. Class will be held in the lap pool. 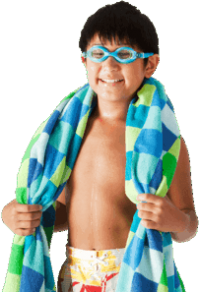 Arthritis Program: YMCA Arthritis Foundation Aquatic Program for members with Arthritis. Class focuses on improving range of motion, flexibility, coordination and endurance. Participants should consult their physician first. Class is held in the Family Pool. A+:Class focuses on improving range of motion and flexibility plus added aerobic workout and strength training. Participants should consult their physician first. Class is held in the Family Pool. 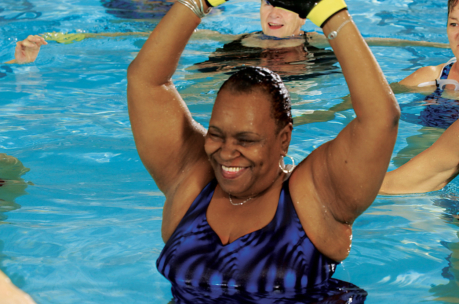 Early Morning Workout: Participants do water aerobics, strength training, and range of motion exercise. Class is held in the Lap Pool. Power Waves:High intensity cardio workout in shallow water, incorporates cardio, endurance and muscle toning. Great cross training for land-based exercise programs. Class is held in the Lap Pool. Legs and Core: Class incorporates cardio, Pilates, muscle endurance and flexibility in the pool. 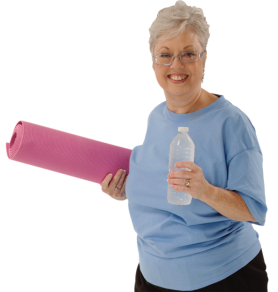 This class is great for those with arthritis as well as more advanced participants. Class is held in the Family Pool. Thanks in part to the Edward G. Whinnery Trust, we are able to provide free member water exercise for our active older adults.